Five years ago we launched the Bay Area Impact Investing Initiative. Our mission was “to develop a blueprint to increase the quantity and effectiveness of impact investing in the Bay Area.” Hundreds of interviews, thousands of hours and dozens of volunteers combined to develop a proposal for a collaborative effort to focus on positive social and environmental impact in the Bay Area while making competitive financial returns. To understand the purpose of local impact investing, research was the driving force to build model portfolios that could have both a positive impact in the Bay Area and conform to the fiduciary standard for institutional assets to prioritize returns under prudent investment practices. It was clear that U.S. based institutional investors, including those in the Bay Area, were unwilling to believe, without research and proof of concept, that having place-based impact goals does not compromise returns. 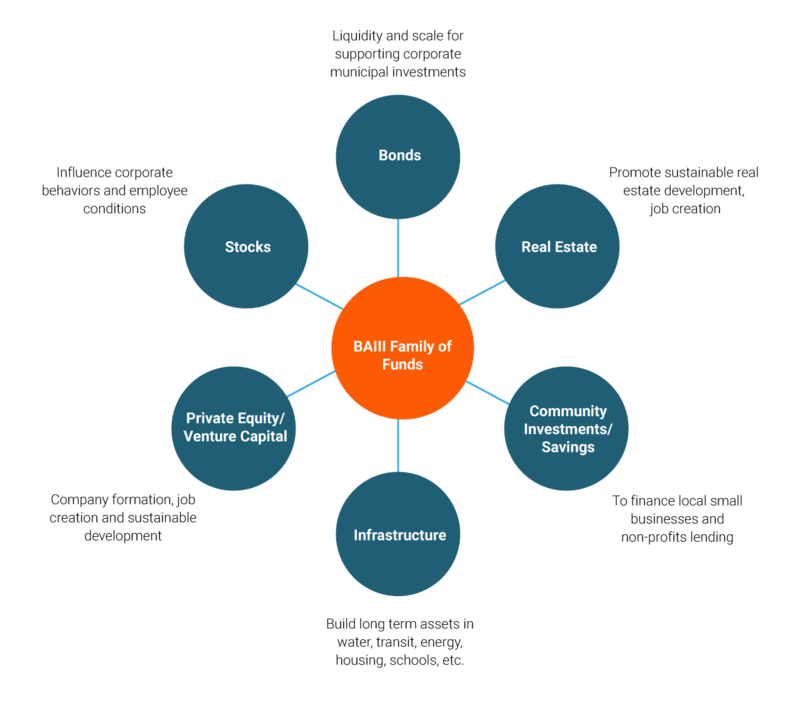 In using all asset classes to build model portfolios, the BAIII adopted broadly defined impact goals of long term sustainability, shared prosperity, and resilience across the Bay Area. With the published research came the BAIII blueprint which calls for a new physical and virtual PLACE that will be an investment company, a network platform to share ideas and contacts, and a clearinghouse for matching resources to solutions in our Bay Area. The Center would consolidate assets from a variety of investors under institutional fiduciary standards of performance expectations and due diligence while tracking impact. A Center with assets to invest locally would promote deal flow throughout the capital stack. With scale, these community oriented funds could be open to individual investors as well. The Center would provide local opportunities to help private asset owners meet their thematic, regional, investment and philanthropic goals, and connect investors, grantmakers, and public resources for the long term benefit of the Bay Area. The BAIII Family of Funds: 6 strategies Investing for impact under institutional standards would be only one of the roles the Center for Bay Area Impact Investing could play. We recognize the opportunity for ecosystem and community building, creating partnerships with other impact and financial organizations for connections and access to capital of all kinds. The Center would help connect a variety of sources and types of capital, ranging from bank and CDFI lending, grants, public support, private capital and mission related investments to fund more impactful investments of all kinds in the San Francisco Bay Area. We could build the Center and the portfolios with enough indications of investment interest. Please let us know how much of your portfolio you WISH you could invest locally for impact and strong financial returns.